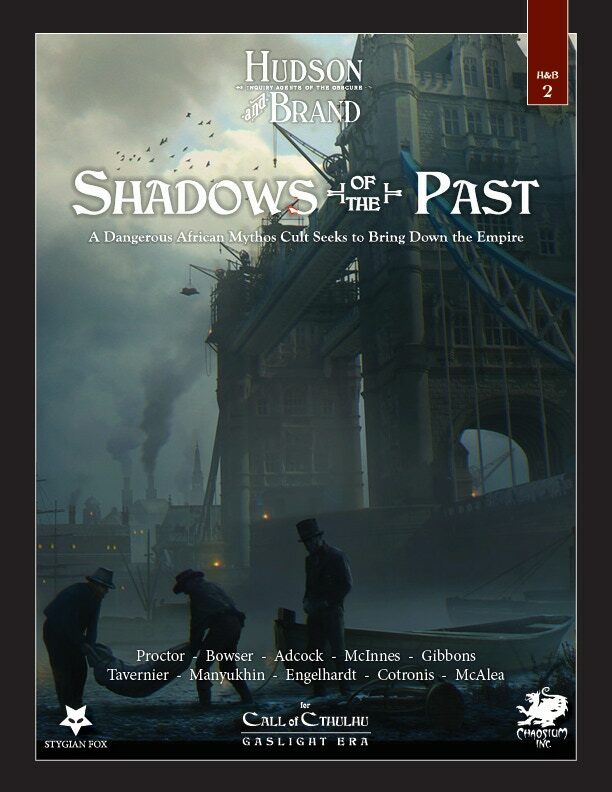 Hudson & Brand: Shadows of the Past aims to present a trio of linked scenarios, set in Victorian London, where players of the Call of Cthulhu roleplaying game (published by Chaosium, Inc), must thwart the designs of an ancient African Mythos cult that seeks to bring down the empire. While this anthology collection builds upon the setting established in Hudson & Brand: Inquiry Agents of the Obscure, it stands on its own and the first book is not needed for these scenarios to be enjoyed. The 150-page, main book will contain three scenarios, scenario seeds based on the events and NPCs introduced in each scenario, and their impact on the historical record. All Maps, Handouts, and NPCs will be included in appendices in the book/PDF for easy reference and printing. Ten Pre-Generated Player Characters will also be included in an appendix. Taking inspirational cues from Sherlock Holmes, Ripper Street, Auguste Dupin, The Suspicions of Mr. Whicher, and The Incendiary's Trail,the book takes a mature look at the horror of Mythos machinations and the many dark corners in the seat of empire.